It is amazing to think how many people have been touched by Dave’s dream- by this farm, the website, and the stories that are passed on. Volunteers, donors, members, sponsors and our community- we thank you. You made this happen. We appreciate your continued support as we continue to grow- to educate, to share, and to inspire. Celebrating successes and strengthening our organization- a productive year at Wessels Living History Farm! 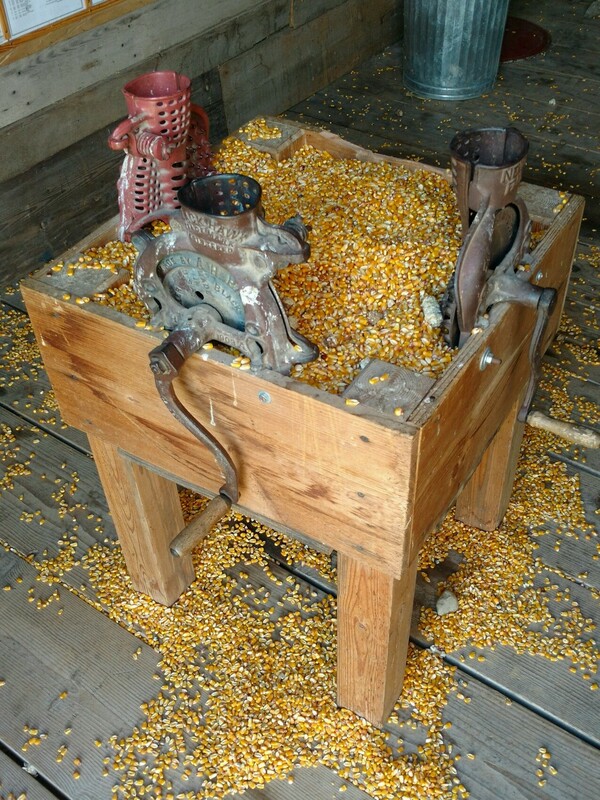 The mission of Wessels Living History Farm is to preserve the history and provide education to our guests relating to the evolution of agriculture and represent life on a Nebraska family farm through classes, demonstrations, activities and displays. Improved transparency through GuideStar and the Better Business Bureau while maintaining good standing with the IRS as a charitable 501(s)3. We joined NAM (Nonprofit Association of the Midlands) and are following their Principles and Guidelines template, while working to attain their Best Practices Partnership status. A part time Administrative Assistant position was returned to the payroll budget. The number of community sponsors for our events increased from 2017. Our educational program is on track to reach 1,470 students this year, an increase of 16%. Several school and home school groups attended classes on the farm for the first time in 2018. Some of the more visible improvements include the completion of the new tractor building, mercantile & office space. The #2, 1968 pivot on display along the driveway and timeline of the progression of irrigation located in the new building have been wonderful additions to our displays. We have received several generous donations of artifacts to display inside and out. The corral has been home to more farm animals than ever before and the number of farm demonstrations during our events has increased! With a recent grant awarded by the York Community Foundation, the house has received much-needed insulation in exterior walls and the church has received insulation in the sanctuary attic. Storm windows for the sanctuary windows is next! This project will help to reduce heating and air costs, allowing us to use those dollars in other ways. The 2018 calendar reflects an exciting 2018 season! First, the Nebraska Passport Program sent nearly 3000 people our way! A little over half of these stopped in while the others stopped just long enough to get their digital “stamp” on the app. While nearly 43% of those who stopped also paid admission and toured the farm, we anticipate many of the others will return at a later date. I look forward to seeing who in the York area is on the Passport Program in 2019! The year isn’t over yet! At this time, the numbers for 2018 are as follows: We have participated in 17 community events and outreach opportunities, will have held 6 weddings, given 6 special tours, held 7 events, taught 76 classes, rented space on the farm for 12 private events and participated in 21 training and self-improvement opportunities! Wessels continues to draw people from around the state as well as out of state and international visitors! As always, it is our dedicated volunteers who make it possible to keep up with this busy schedule. The operating budget for 2018 is $162,175. Although keeping up with this growing level of activity- educational classes, demonstrations and community events- and maintaining our historic structures and displays with this budget has been challenging and led to a creative use of funds, an increase in the operating budget is necessary to support the continued growth of the organization. We rely on admissions, educational classes, rental revenue and donations to help us get through each season. Sponsorship dollars have allowed us to improve the activities, entertainment and educational content of our events. Our event plan for 2019 will look very different than past years and we’re very excited about it! We invite you to experience life on the farm through the seasons! Experience the excitement of getting the crops in, showing off at the fair and a successful harvest! Enjoy the traditions and excitement of Christmas! Each event fills the farm with living history activities, entertainment, demonstrations, great food and fun for all ages! Our first concert fundraiser is scheduled for May 31st! The Chardon Polka Band has been entertaining audiences for over 15 years. This polka-punk band from Ohio plays traditional polkas mixed with punk-rock renditions of the same songs & an ever-growing library of original tunes. Opening bands TBA. This outdoor, tent-covered concert at the farm will include food and bar! Check in online or on Facebook for details about these lively events on the farm as they become available! We are seeking sponsors for each of them. Sponsor information may also be found online or contact us! Please help us thank these folks for their time, support, and interest in the farm. Collaboration with our community strengthens us all. Emergency Management of Seward & York Co.